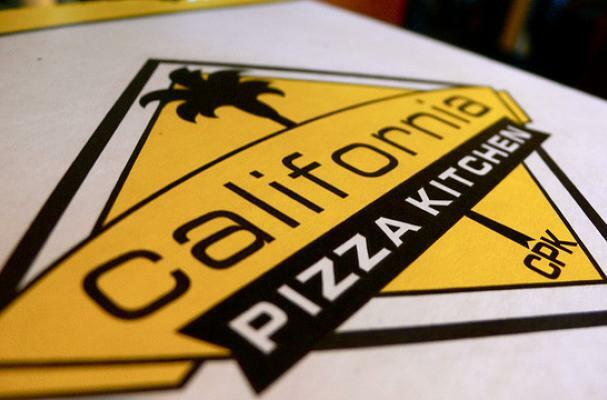 Foodista | California Pizza Kitchen Goes Gluten Free! Earlier this year, California Pizza Kitchen, an international pizza chain with many other-than-pizza menu options, rolled out a Gluten Free Menu (pdf)-- a big step for such a large chain. Unfortunately, this fabulous menu included neither pizza nor pasta - kind of a bummer at a pizza-and-past joint, no? But good news, gluten free peeps! CPK has been test-marketing gluten free pizzas in Alabama. Why Alabama I have no idea, but the here's the skinny from Gluten Free Philly: "only five pizza options aren't gluten-free because of gluten in other ingredients...[and] the gluten-free versions are made using separate ingredients and on dedicated pans to avoid cross-contamination." Even better? No surcharge for the gluten free crust! At least, not yet. Word on the street is that you should check with your local CPK by mid-summer for more info on the gluten free goods! Like all good corporations, CPK has a food allergy disclaimer and in addition to doing their best to prevent cross-contamination, they give some excellent food-allergy advice: remain vigilant, make no assumptions, and always check the menu. "However, food suppliers may change the ingredients in their products or the way they prepare their products, or there may be differences in products among regional suppliers, so please regularly check this list"
For more general allergen information on CPK, check out this nifty spreadsheet (pdf). I am from Birmingham AL and we have tried several of CPK's gluten free pizza's and they are so fabulous I just can't even describe! So many choices! There is no "gluten free" taste to it. Tastes like a regular pizza!